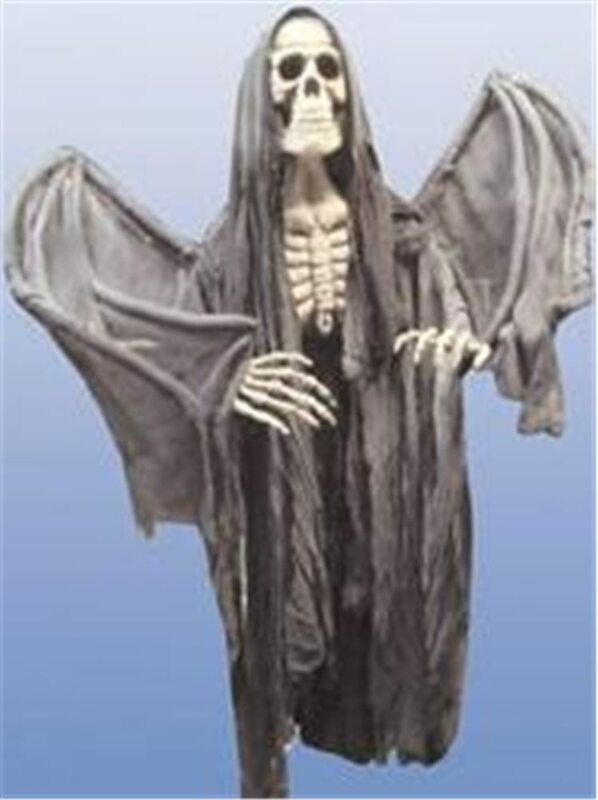 This foam angel of death has a 30" wingspan! Add some heavenly horror to your Halloween decorations! Draped in a tattered black fabric cape, this chilling skeleton is a frightful way to greet trick-or-treaters or haunted house party guests.